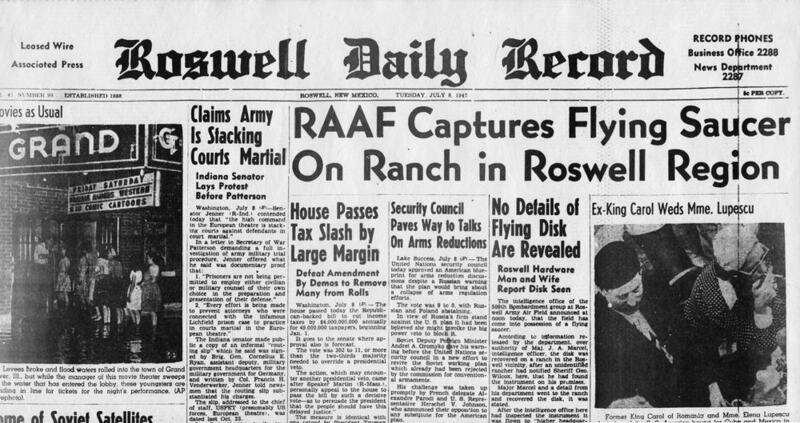 July, 1947 something landed on a ranch in Roswell, New Mexico. At first, the U.S. government maintained that it was just a balloon, but the most famous explanation is that the unidentified object could have contained extraterrestrial life, that is aliens. Since then, lots of conspiracy theories have arisen about the place and secret millitary operations near Roswell and later in Area 51. One thing’s for sure, something happened out there.